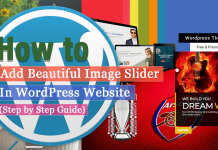 If you looking to add timeline on your WordPress website then, you are at the right place. Here, we will discuss a short tutorial of how to add an event timeline on WordPress website. But before we begin with the step by step guide – a few things about why you should consider adding timeline posts on your WordPress website. Adding timeline posts on your WordPress website is one of the best ways to boost the credibility of your company. 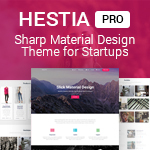 It lets you highlight all your achievements and work experiences of your business in a visually appealing timeline. By doing so, you can provide social proof about your work portfolio to your audience and easily generate their trust and authenticity and even convert them into leads. Besides, these timeline posts also add a sense of identity about your work and reflect the purposes and goals of your company. Here, in this article, we will be using a free WordPress timeline plugin – Everest Timeline Lite to add an event timeline on your WordPress website. 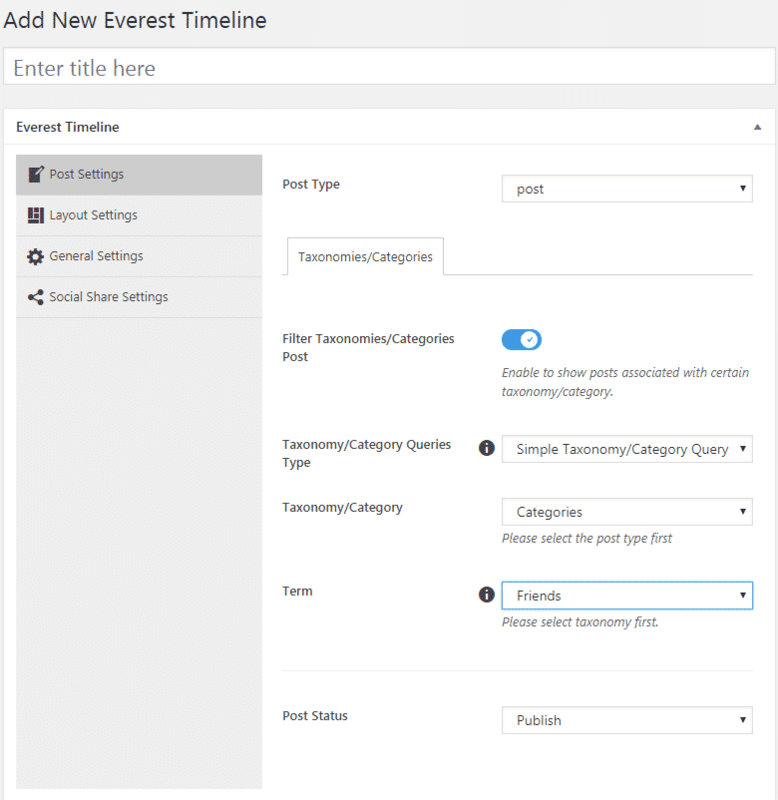 Download Everest Timeline Lite from WordPress.org. Then, install it on your website. 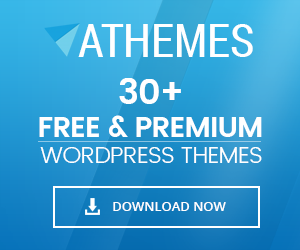 If you have any difficulty regarding the installation process then, check out the article: How to Install New Plugin to the WordPress Site? After you have successfully installed the plugin, activate it. 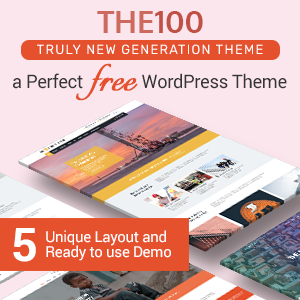 Then, you will see the “Everest Timeline” appear on the left menu of your WordPress dashboard. You will land on the “All Everest Timeline” page. It contains all the timeline posts you have created to date. To add a new timeline for your website, click on the “Add New” button. Here, you can set the post type of your timeline. Then, enable the filter taxonomy/category to sort your timeline with all the possible options. Here, you select the layout your timeline post. 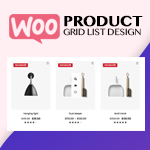 The plugin contains 2 different types of layout i.e. Vertical Timeline Layout and One Side Timeline Layout with 2 different templates for each of them. 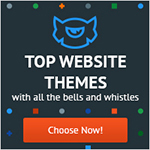 So, choose the best one for your WordPress website. Here, you can set the number of posts you want to display on your timeline post. 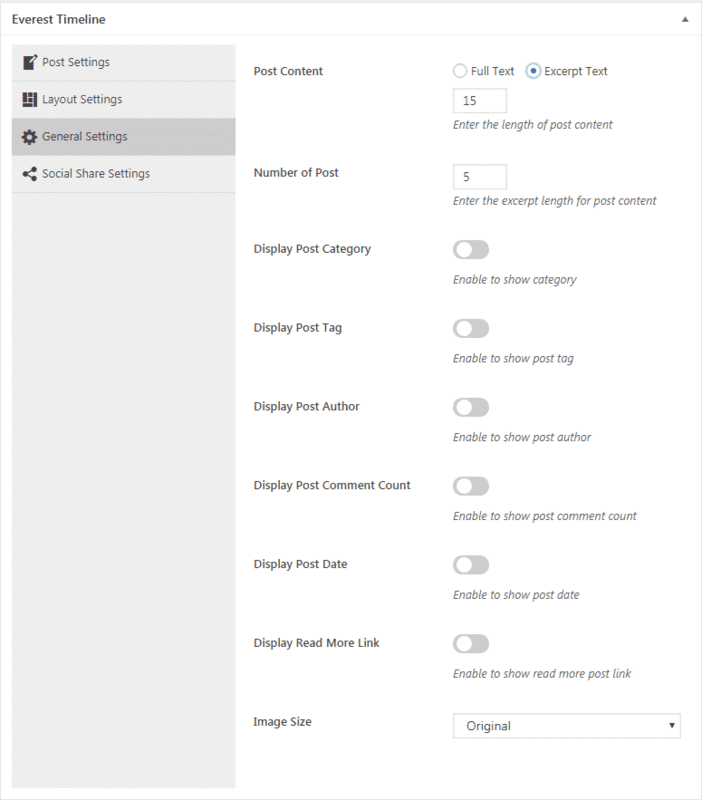 Also, you can enable/disable post category, post tag, post author, post comment count, post date and read more link on your timeline post. 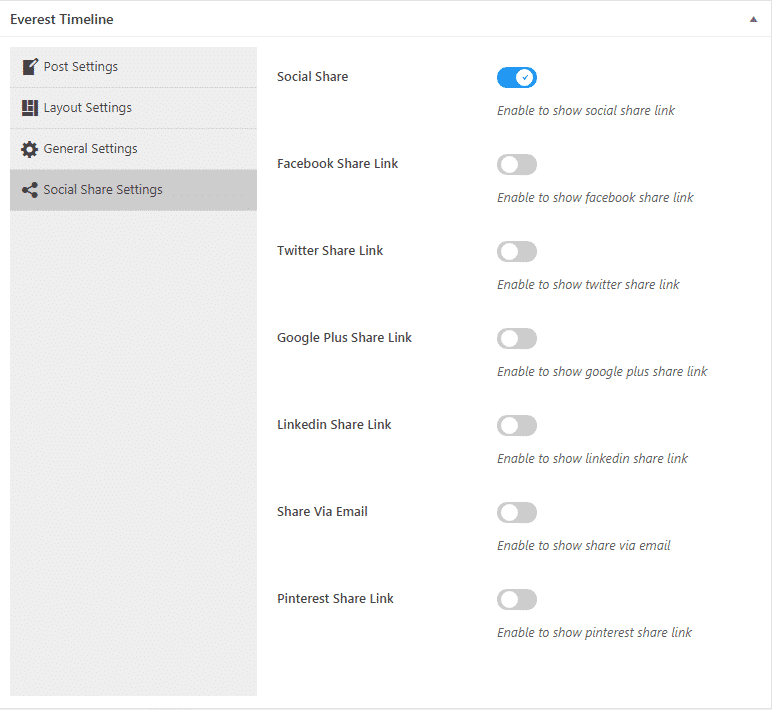 Here, you can enable the social share of your timeline posts. You can enable this the social share in major social media networks like Facebook, Twitter, Google Plus, Linkedin, Email, and Pinterest. 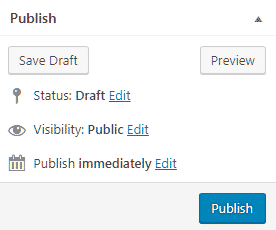 After you are done configuring your timeline post, click on the “Publish” button to save it. 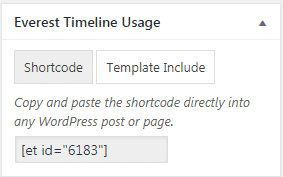 Then, copy the generated shortcode from Everest Timeline Usage and paste it on any page, posts, or custom post types of your WordPress website. You can upgrade this plugin its premium version – Everest Timeline for additional features. 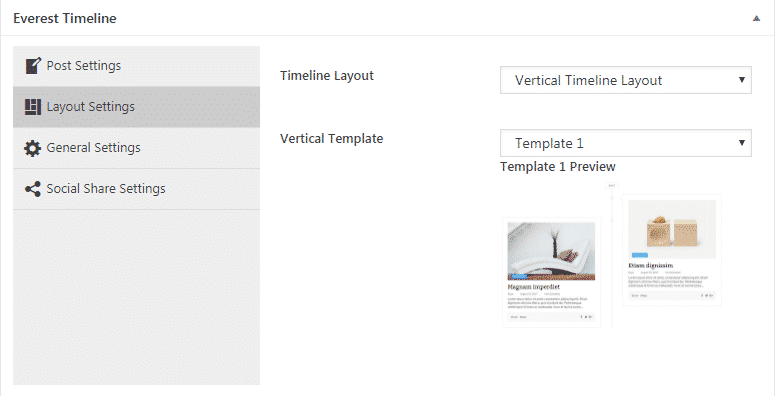 In this way, you can add timeline on WordPress website. 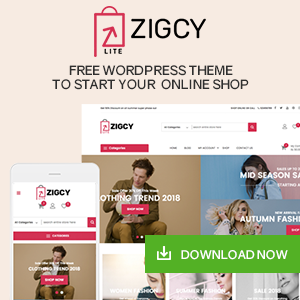 These timelines can be very effective on your WordPress website where you can showcase all your past experience and the evolution of your business. So, if you want to add a timeline post on your website then, you can download the mentioned above plugin for free and follow this step by step tutorial. 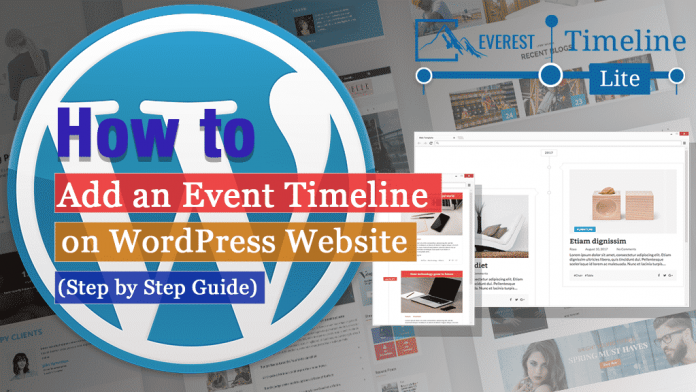 Hey Buddy!, I found this information for you: "How to Add an Event Timeline on WordPress Website? (Step by Step Guide)". Here is the website link: https://wpallclub.com/add-event-timeline-on-wordpress/. Thank you.